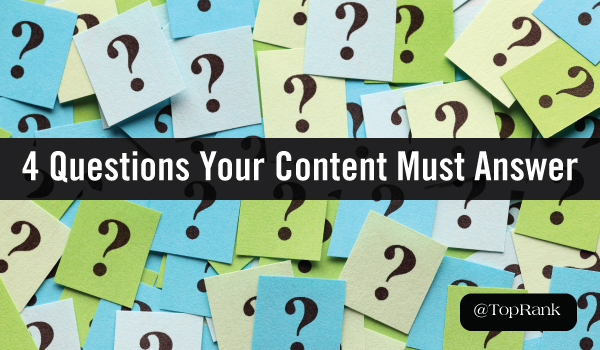 HubSpot reports it takes less than 15 seconds for a reader to decide whether or not content is worth the effort. Think about that: In half of the Jeopardy theme, your reader’s mind is already made up. The easiest way to fail this test is to either omit the author byline, or bury it at the end. If your reader sees no attribution at the top of the article, they may assume it’s a generic piece written by committee, solely to promote a corporation’s products. It’s possible to get readers to make that commitment. But imagine there’s another SlideShare that starts with a compelling intro aimed at the reader, and hits the key points in 20 slides…which one do you think wins? To add more spice to your content, check out 4 Tips for Writing Delicious Copy. And subscribe to the TopRank Marketing Newsletter for more content marketing, social media marketing, and influencer marketing advice that passes the 15-second test.